What kind of socks do pirates wear? Arrrgyle! 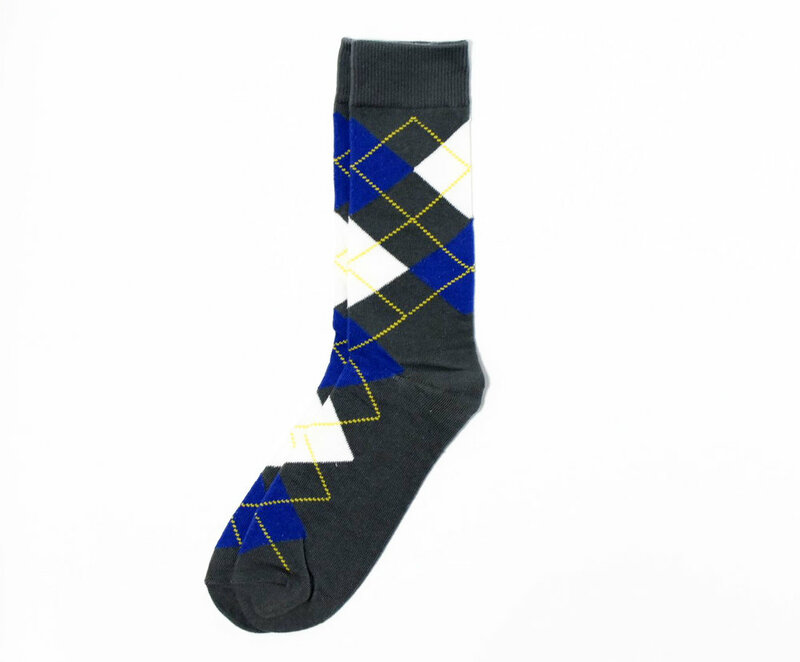 These awesome Back 9 socks are not just limited to the inner-pirate in you, they can also be worn by golf enthusiast. Normally can be worn in casual environments with khakis or jeans and should normally match one of the patterns color with a polo shirt or tie. Whichever the case, you will never go double-bogey in this pair and be ready to shout out fore! Because you coming in hot with our Back 9 socks.